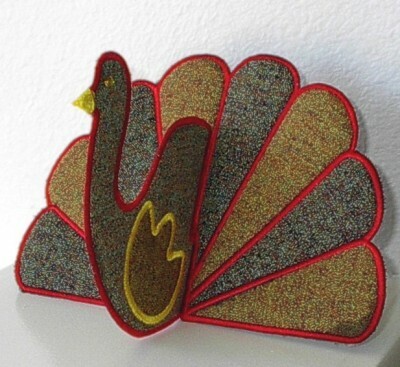 designs that were sewn by my customers. If you have photos of my designs you’d like me to add, please send them to me in an email. I won’t use last names, but I will mention your first name and last initial so you can have credit for your hard work. 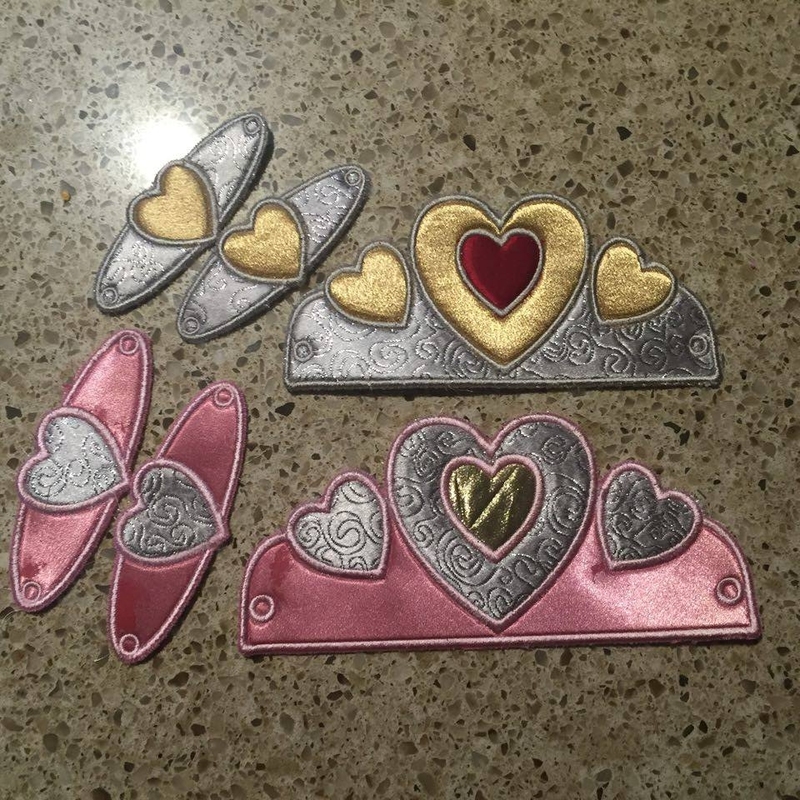 These crowns were sewn by Sandy A.
I love the fabrics and colors she used to make them! 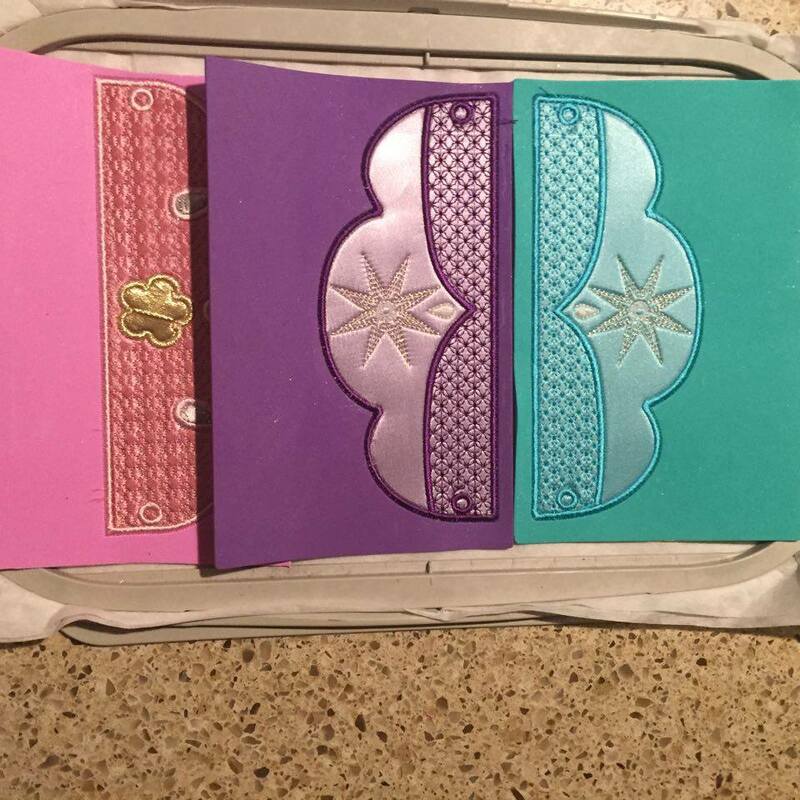 Click here to buy the Princess Crowns & bracelets set. Here she has 3 going in one hoop. 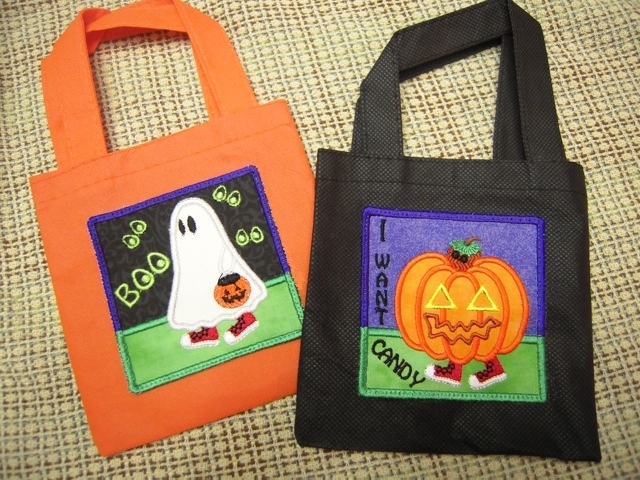 Here are some cute Halloween Candy Bags made by Sara B. They are so cute I show them off on my home page at Halloween! 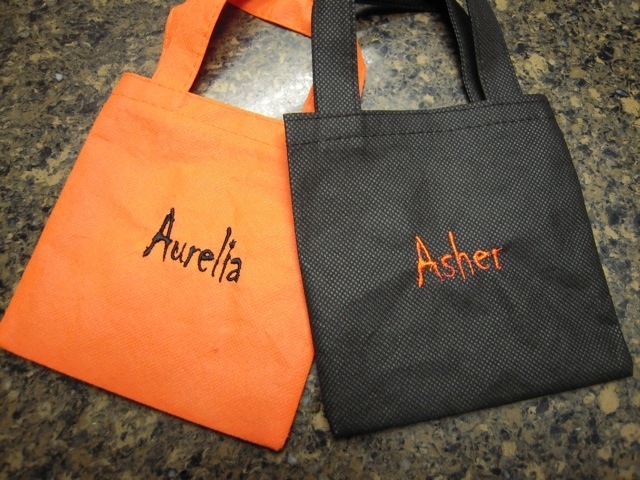 She sewed my Halloween Blocks onto the front and the kids names on the back. Very nice! 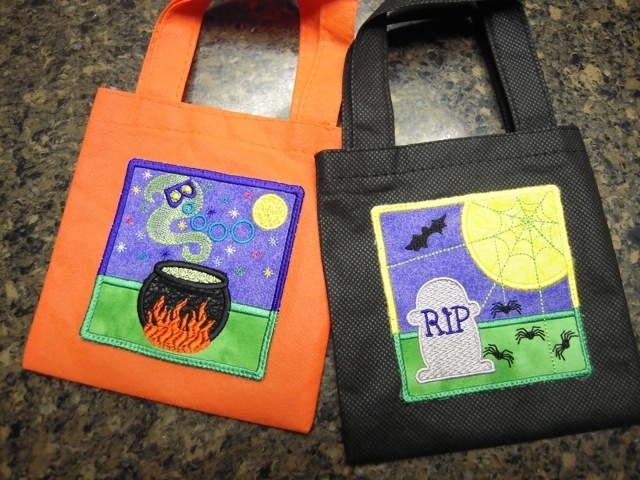 Click here to purchase my Halloween Block designs. 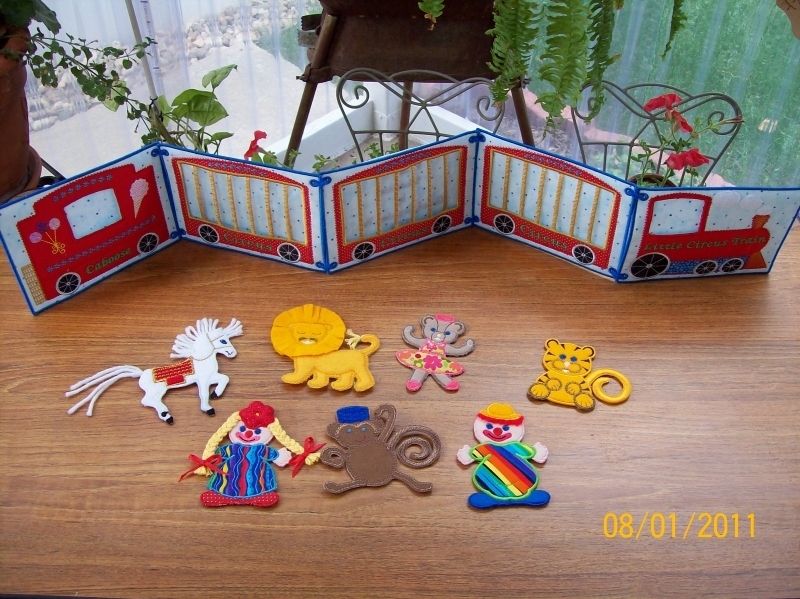 Below are 2 images of my Circus Train Book and some of the Circus Animals set, sewn by Pat W. from CO. Such fantastic work! My Circus Train Book is my bestseller of all time. 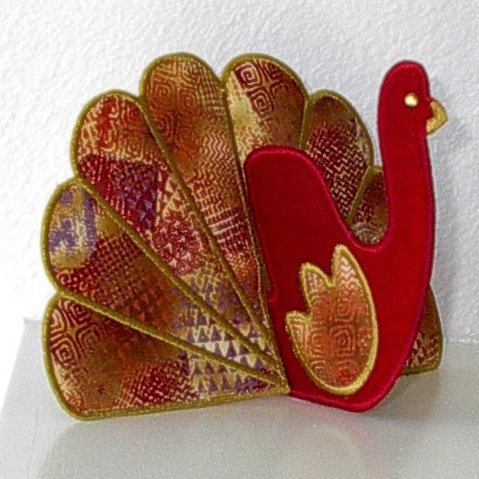 If you’d like to purchase it, click here. 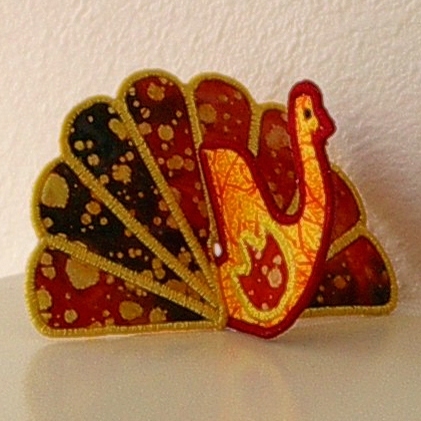 This was sewn by Betty T. I love the fabric she used in this. She also used cute little buttons for the eyes. 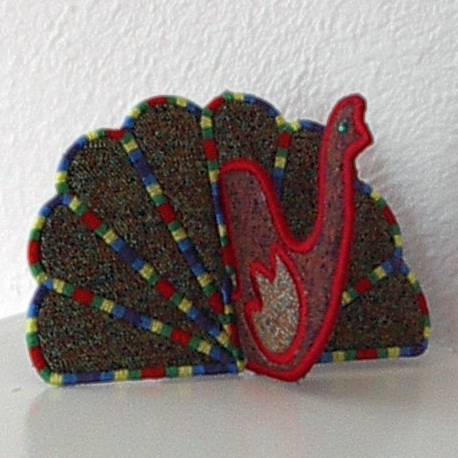 Click here to purchase my 3-D Turkey, available in 4×4 and 5×7. 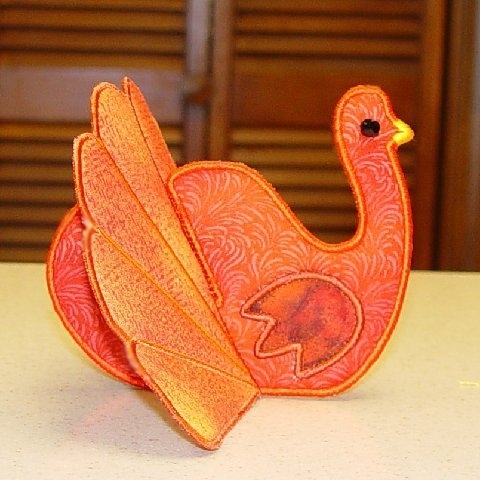 Next we have the rest of the flock, sewn by Lois G and the sewing class she teaches. Thanks Lois. You and your students did a great job! “This is my 2 year old grand daughter, Clara, playing with the Circus Train in her bumble bee costume! 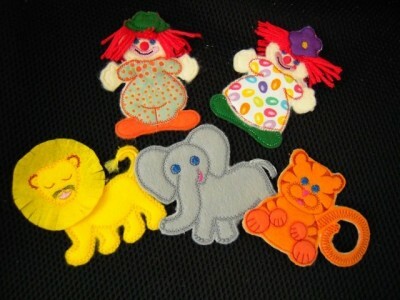 She loved taking the animals and clowns in and out of the pockets. It was so much fun watching her have fun with it. 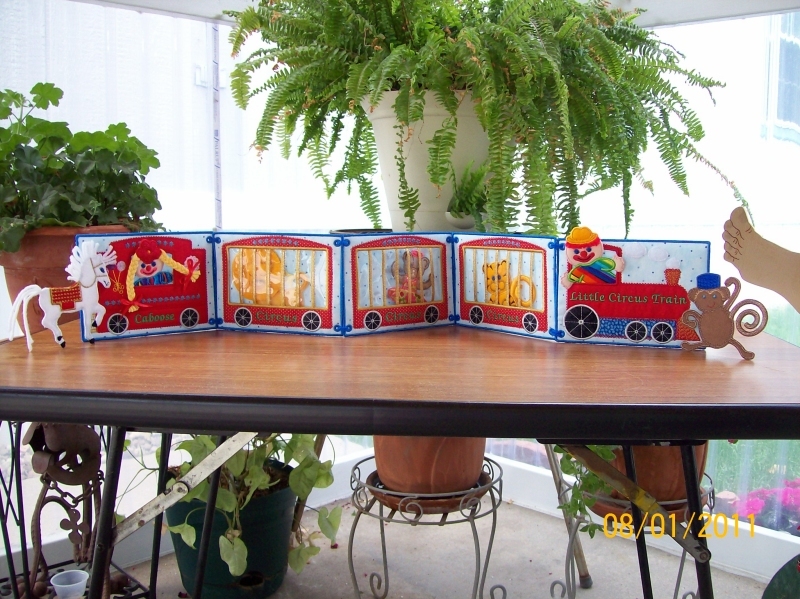 Her sew out of my Circus Train Book looked so much like mine I had to do a double take. Thanks to everyone who sent me photos. If you’d like to send me photos of your stitch outs of my designs, to be featured here, contact me and I’ll tell you where to send them.